Eatonville, Washington is nestled in the foothills of towering Mount Rainier, the fourth highest mountain in the US and icon of the Pacific Northwest. 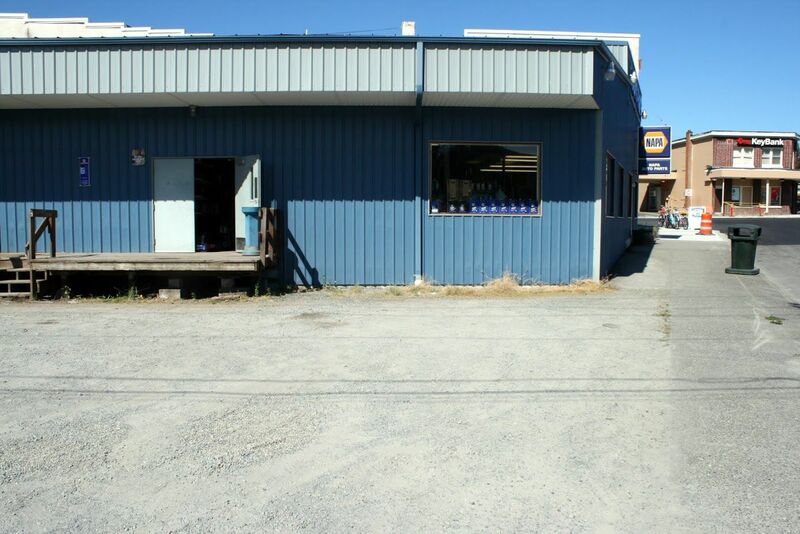 The town of 2,775 people is a rural community with a variety of retail shops and services that support the surrounding area. There has been a growing concern in town about stormwater and how it is degrading local rivers. 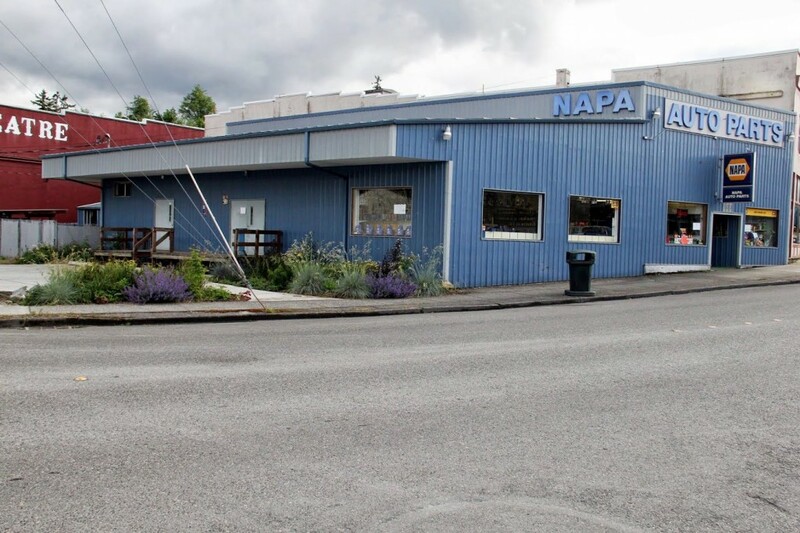 Eatonville’s roofs, yards, roads and parking lots drain to critical salmon spawning areas of Mashel River and Ohop Creek. These are tributaries to the Nisqually River, one of the great salmon rivers in Puget Sound. 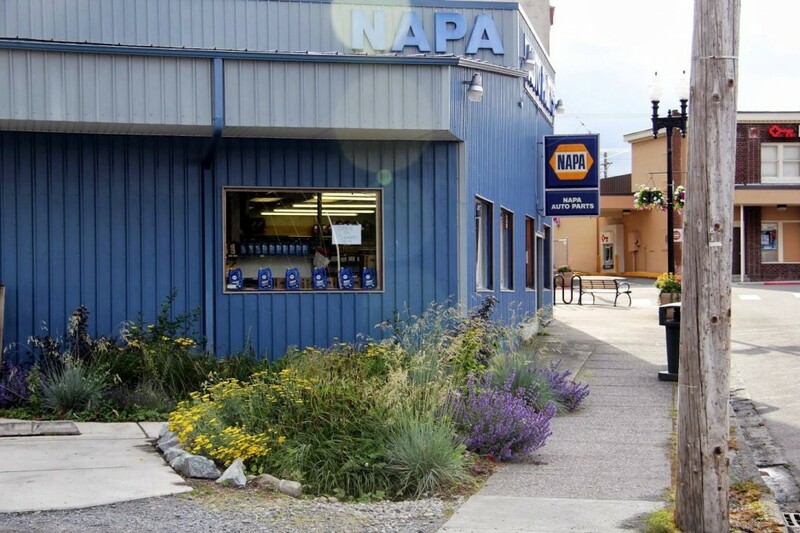 When the local NAPA Auto Parts store heard about the stormwater concerns and realized that they could do something, they jumped at the chance to lead the way. 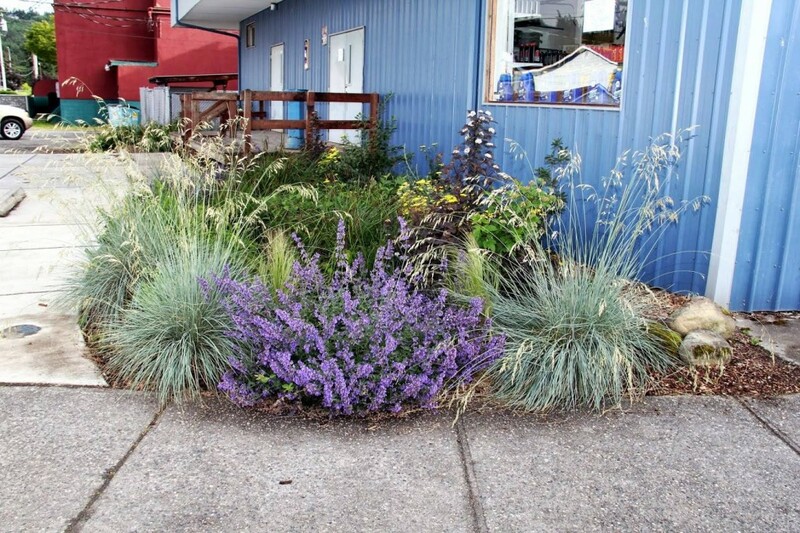 Store manager Dave Gutierrez saw that his parking lot had plenty of room for a rain garden, two, or maybe even three while still leaving plenty of space for cars. 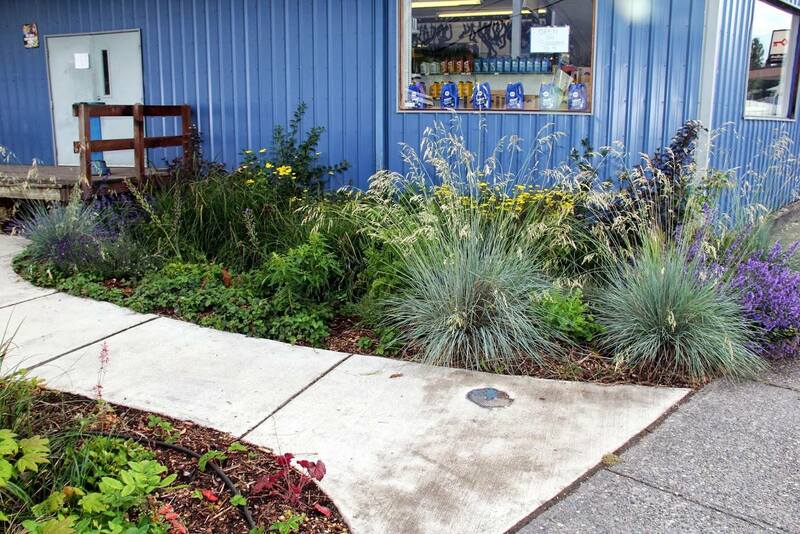 A team from the Nisqually Tribe, the Town of Eatonville, and Rain Dog Designs, started digging out dirt, hauling in compost, and planting just the right plants. The whole effort from planning to construction took two weeks. Three rain gardens at Gutierrez’s store filters about 95 percent of the roof and parking lot runoff, keeping 148,000 gallons a year of stormwater from rushing directly to nearby Mashel River. 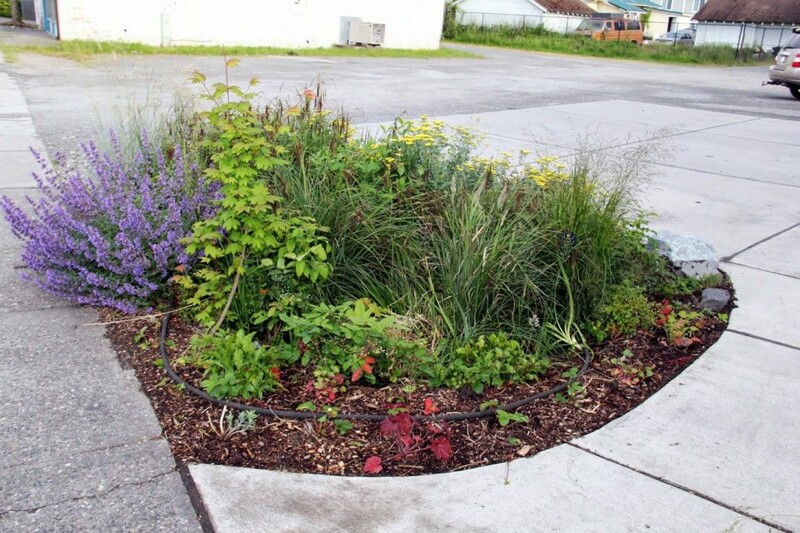 The rain gardens filter out pollution and let the rainwater soak into the ground, slowing travel to the river, and providing much-needed cool water in the dry summer months. PBS also filmed the rain garden effort as part of a larger documentary, River of Kings. 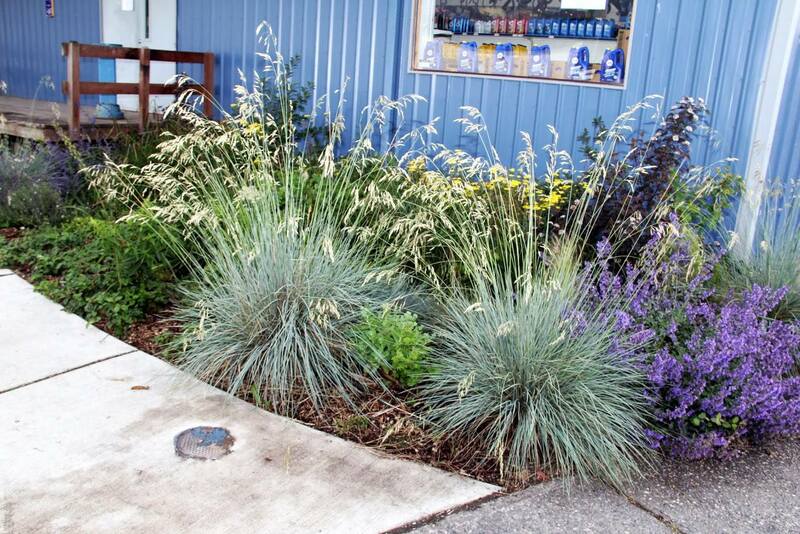 This episode highlights Eatonville’s efforts to control stormwater and it’s commitment to salmon habitat protection. Special notes. 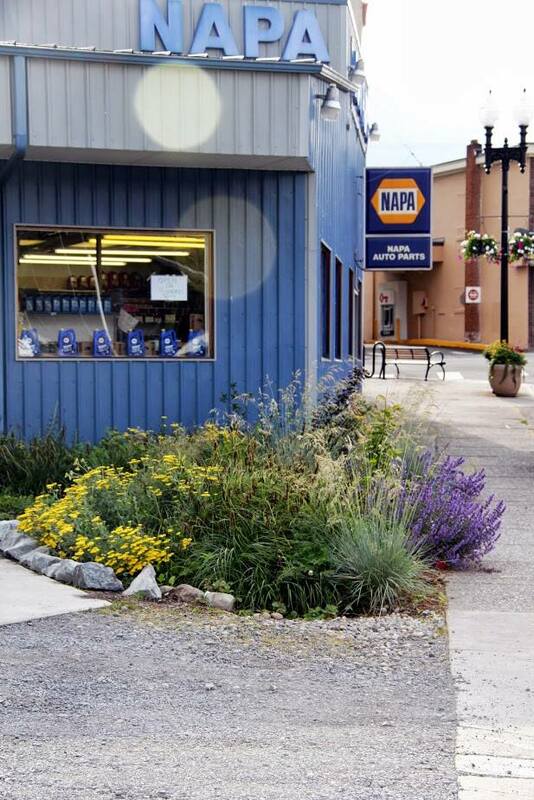 We contacted NAPA corporate HQ and learned this is the only NAPA Auto Parts location in the United States with rain gardens. Brendan McLaughlin, Resource Media, contributed to this story.